Schools have become hotbeds for extremists wishing to corrupt our youth. We refer, of course, to the leaflet handed out on James Street to schoolkids encouraging them to see a lantern slide about Soviet sporting culture. Thrilling it was too. Maybe. Bloody Communists. No wonder 1933 never came back into fashion. Anyway, it turns out that a James Street shop had been converted into the headquarters and clubhouse for the local branch of the Communist Party. 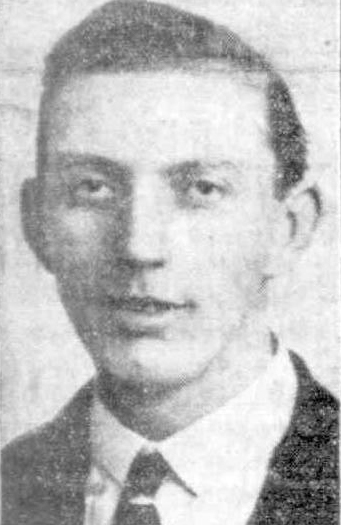 And in 1931, WA’s first ever Communist candidate for the federal senate was Findlay MacKay (pictured above), an engineer who lived in Gwenyfred Street, South Perth. Poor Findlay not only lost his deposit—reds not being all that popular here in the 1930s—but also got fined for holding an unauthorised rally in Bunbury. Long a motorcycle enthusiast, it was as a result of his bike colliding with a bus in Vic Park in 1942, that Findlay sadly lost his life. Biker, Commie, and agitator on the streets of Bunbury. What’s not to like? Next Post → Can you handle the truth? Rodgerdodge. He was white so couldn’t be deported. Unlike poor old Samsudin Bin Katib, Broome war hero who fought behind enemy lines in WW2 with Z Force. As a Returned Serviceman he felt he’d earned the right to protest the indentured slave conditions in his industry and took steps to form an association of likeminded uppity serfs. Big mistake. Errr thanks for saving our country now piss off back to Asia you Commie. Z Force! And they deported him! We should be looking for his family, giving them some compensation and posthumous medals. Amazing story. Thanks for this.